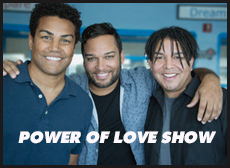 The Power of Love Show presented by Dee Dee Jackson Foundation where we shine a light on loss and grief and how it impacts our lives. We are here to provide hope, resources and a community so nobody feels alone in their grief. We believe that through the Power of Love that Nothing is Impossible with LOVE on your side.